How important is color in the business world? Google is one of the major U.S. corporations that is trying to find out. The company has already found "a clear link between color and satisfaction with a person's work area." That's according to spokeswoman Meghan Casserly. Color is "the silent salesperson," says Elyria Kemp. She is an assistant professor of marketing at the University of New Orleans. Kemp is following color trends in business. She is studying the link between emotions and color. Kemp said when consumers make an evaluation of a product, typically they do this within 90 seconds or less. She said more than half of their initial assessment is based on color alone. That's why so many companies are researching their color choices. They are spending thousands of dollars on the research, too. Just think of UPS's Pullman brown, Home Depot's vibrant orange and Tiffany & Co.'s distinct blue. Joclyn Benedetto is spokeswoman for Tiffany & Co. She said the glamour of the company's jewelry is linked to the Tiffany blue color. It wraps every creation. She said the color was selected by founder Charles Lewis Tiffany for the cover of "Blue Book, Tiffany's annual collection of exquisitely handcrafted jewels." It was first published in 1845. 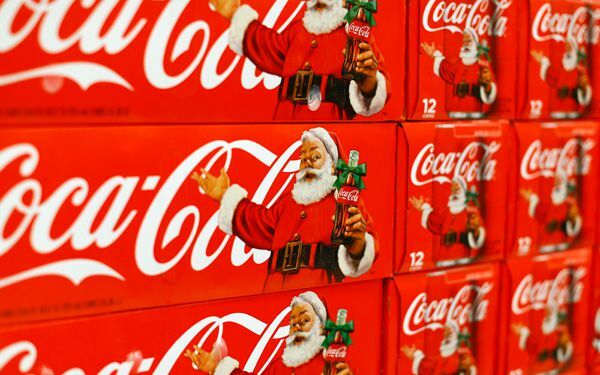 Coca-Cola's signature red color also dates back more than 100 years. The soft drink was shipped in barrels painted red. 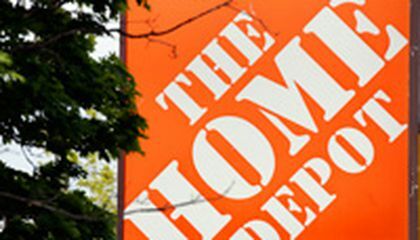 A spokesperson for Home Depot says research indicates that the first thing people think of is orange when they hear the store name. Smaller companies are also recognizing the benefits of color. But picking the right color is important. "It's not something that you think about. It just will hit you," said Emil Hagopian. He's with Mar Plast Color Building Materials in Ann Arbor, Mich. "And sometimes, if it's done wrong, that also hits you." Critical thinking challenge: How can companies use color to make more money? L - Companies are using colors to attract people to buy there product, they do this because colors attract peoples attention. This is a good idea because more people will buy there product. This article was about a few companies signature colors, like red for Cola Cola, orange for Home Depot , brown for UPS and Blue for Tiffany and Company. Color is very important to companies because color is sort of a personality of the company. I think it is important for a company to choose the correct color . Companies can use color to make more money because it attracts the customer's attention. If I had a company, it would be an arts and crafts company for paper mache products. The color I would choose is hot pink. I would call it Pink Mache. I now realize why I'm always attracted to brightly colored store signs. It's amazing how stores are spending thousands of dollars on research trying to figure out if this is true. It's amazing how Coca-Cola has had the bright red color for over a hundred years. Companies could make more money by using a distinct vibrant color that people will remember and want to come back to. Picking a color will take some major thinking and time to figure out the perfect color. So color is a main attractant of customers to keep the business running. In my opinion i think that its the color that they first see and that they start recognizing. Color may also change the mode go people to attract to buy the product.